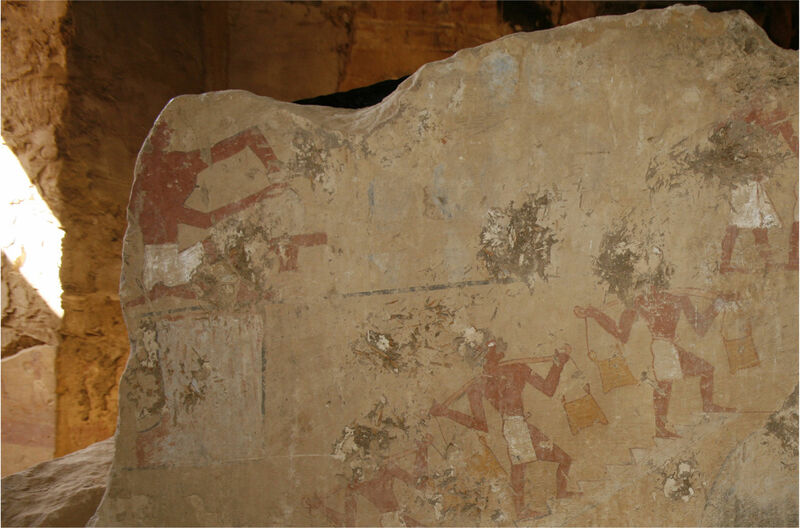 Elkab, tomb chapel of Senwosret, section of hunting scene on west wall (Photo: W. V. Davies). A British Museum expedition under the direction of W. V. Davies has been working on cleaning and recording the pharaonic tombs of Elkab since 2009. The tomb discussed here was built for Senwosret, a governor of Elkab probably during the early 12thDynasty. Not specified by the authors. Fig. 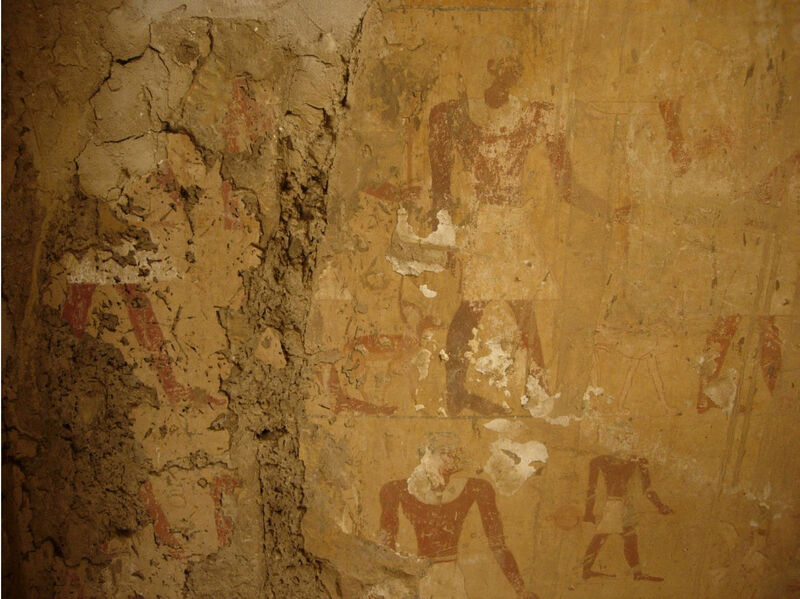 15: Elkab, tomb chapel of Senwosret, detached section of wall with scene of workers (Photo: J. Rossiter). Fig. 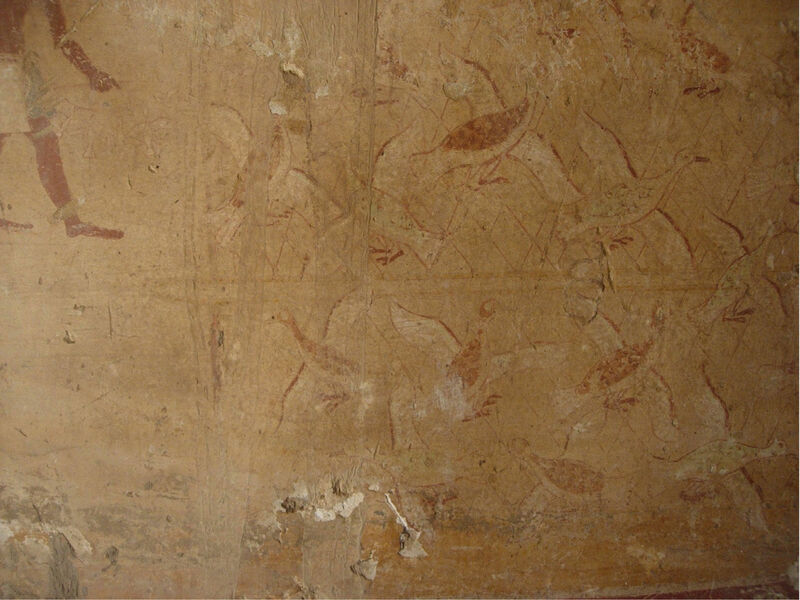 5: Elkab, tomb chapel of Senwosret, section of bird-trapping scene on west wall. Fig. 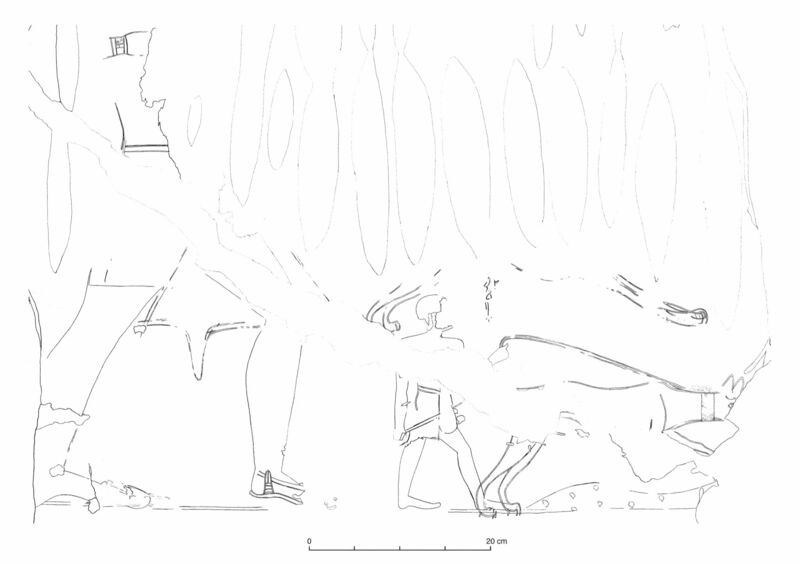 2: Elkab, tomb chapel of Senwosret, detail of hunting scene with dogs (Claire Thorne). Fig. 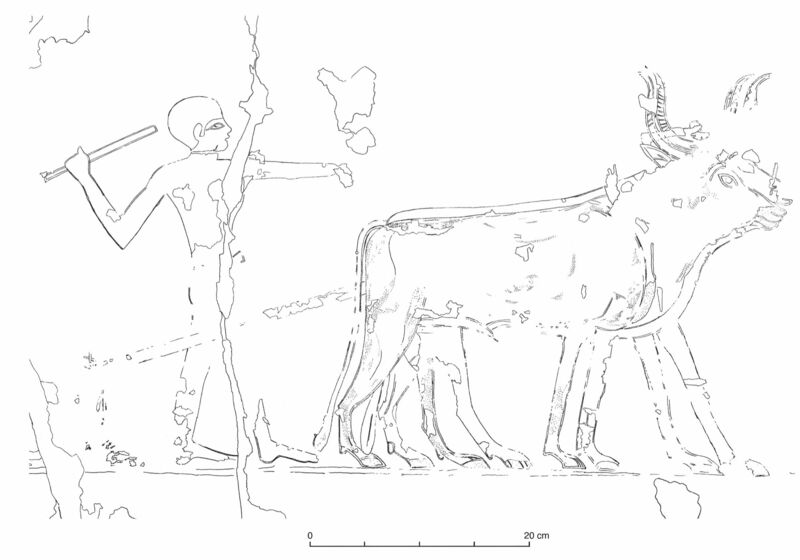 3: Elkab, tomb chapel of Senwosret, detail of ploughing scene (Claire Thorne). Fig. 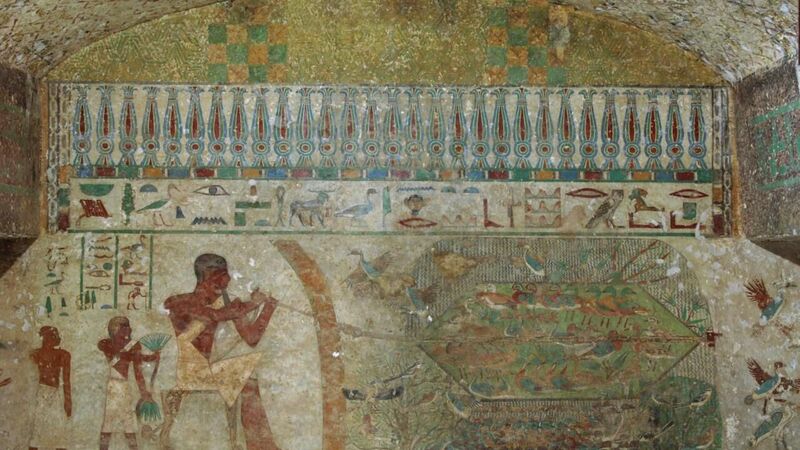 4: Elkab, tomb chapel of Senwosret, detail of offering scene with figure of monkey (Claire Thorne). The documentation technique applied to represent the very much faded and fragmented decorative wall surfaces at Elkab is well suited for the occasion, providing a straightforward, single weight outline drawing narrowed down to only indicate painted outlines. Occasionally, where the decorative surface is unreadable or unclear, there are gaps left blank between chunks of visible outline segments. Painted outlines are often shown as two separate set of pen strokes, delivering additional information about the nature of the original brushwork. Damaged areas are only represented when indicating deep cracks or mud fill on the wall, otherwise they are wisely omitted from the drawings to avoid any interference with the painted decoration. When damage is indicated, it appears as a single weight continuous outline with no fill applied. 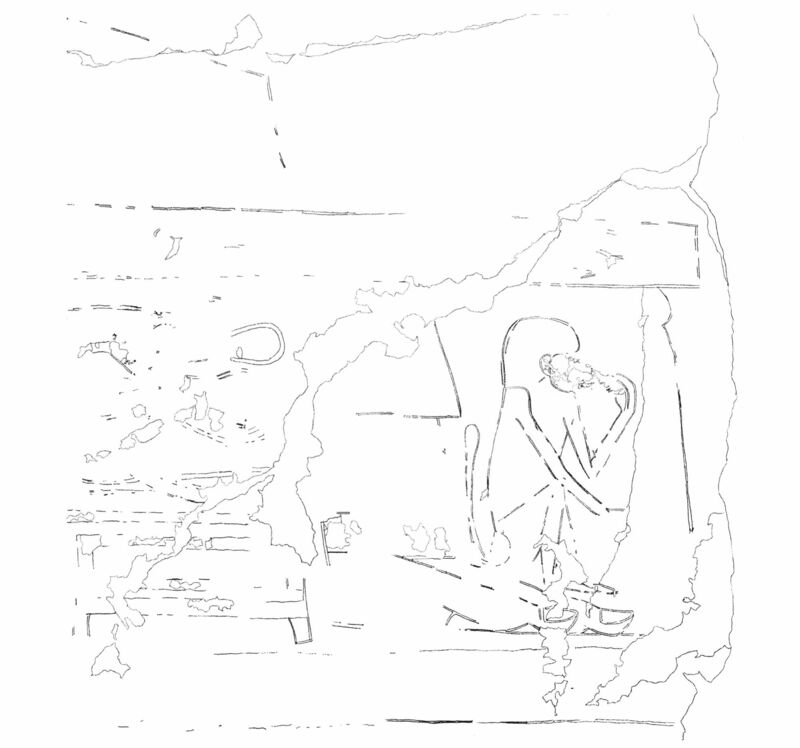 W. Vivian Davies and Elisabeth R. O’Connell - British Museum Expedition to Elkab and Hagr Edfu, 2013 in:British Museum Studies in Ancient Egypt and Sudan 22 (2015): 1–34. W. Vivian Davies and Elisabeth R. O’Connell - British Museum Expedition to Elkab and Hagr Edfu, 2012 in:British Museum Studies in Ancient Egypt and Sudan 19 (2012): 51–85. W. Vivian Davies and Elisabeth R. O’Connell - British Museum Expedition to Elkab and Hagr Edfu, 2010 in:British Museum Studies in Ancient Egypt and Sudan 16 (2010): 101–32. To read more about this expedition as well as the British Museum’s other research projects, visit their website. 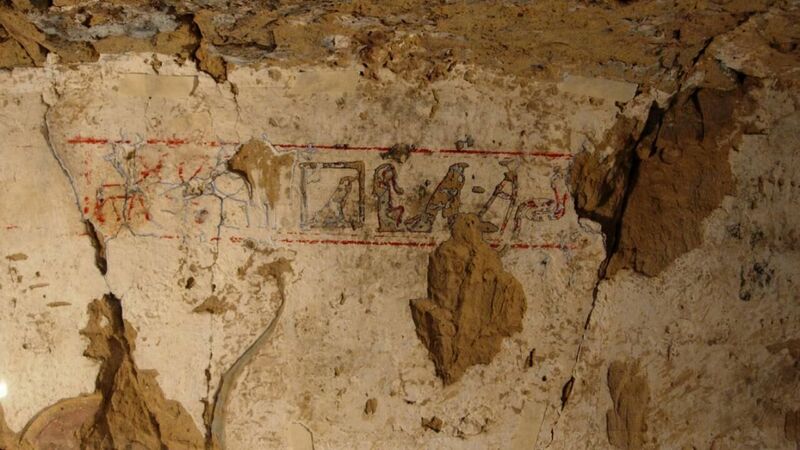 The Beni Hassan @ Macquarie project aims to provide a visual dictionary for all inscribed tombs of the Middle Egypt burial site Beni Hassan, including that of Khnumhotep II.